Last changed on 12/23/2018. This album contains 579 items. This album has been viewed 18423 times since 05/17/2011. 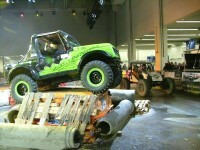 Impressionen von der Essen Motorshow 2011 <<<<<>>>>> Bilder von: Josef R. und Sebastian L. !!! Last changed on 02/01/2017. This album contains 100 items. This album has been viewed 6540 times since 12/13/2011. Last changed on 11/05/2018. This album contains 399 items. This album has been viewed 122465 times since 07/04/2011. Last changed on 02/01/2017. This album contains 485 items. This album has been viewed 17222 times since 09/22/2011. Last changed on 02/26/2018. This album contains 98 items. This album has been viewed 15553 times since 06/13/2006.